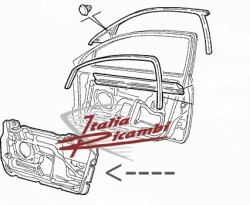 Original part Alfa Romeo, passenger door for the following models! Original part Alfa Romeo, Driver door for the following models! Original part Alfa Romeo, for the following Models at the right front door! Original part Alfa Romeo, for the following Models at the left front door!